Since 1988, Primitives Furniture & Accessories has provided the top services and products to shoppers throughout the region. 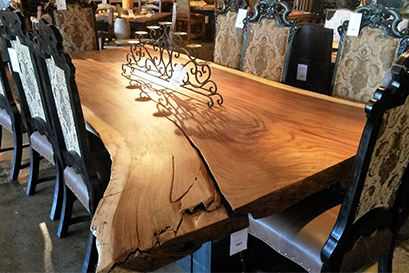 At our wood furniture store in Austin, TX, our goal is to deliver quality options to each of our clients. We want you to be pleased with your purchases, and we are here to help you throughout the buying and installation process. Please read the following terms to learn more about our return policies for your products. Items deemed to be “On Sale” or “Discounted” merchandise cannot be exchanged, returned or refunded. Stock merchandise (excluding furniture, wood/upholstery) will be accepted for exchange or store credit within 7 days, only if it is accompanied by a receipt and its original packaging, if any. There are no exchanges or returns on special orders. Antiques, reproductions of antiques, case goods, wood furniture, and all floor model purchases are final. We urge the customer to verify size and style prior to purchasing. Leather, upholstery furniture, and all floor model purchases are final. We urge you to verify size and style prior to purchasing. 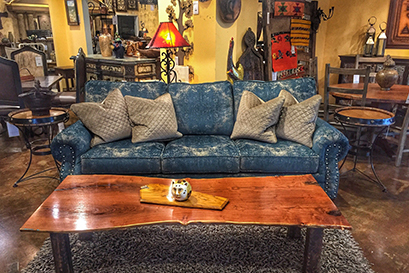 At our wood furniture store, we want you to be comfortable with your purchases. For your convenience, we allow a 3-day cancellation period. Simply contact your sales associate within 3 days of your purchase for changes and/or cancellations. After 3 days, custom order cancellations are not allowed under any circumstances. Primitives will do its best to assure that your merchandise arrives within the estimated arrival period. The estimated lead-time for custom orders is 10-16 weeks. Some orders may be finished more quickly, while others may take a little more time. There are occasions due to circumstances beyond our control in which orders may take longer. Because of these, Primitives does not guarantee arrival dates. Our wood furniture store does its best to assure the product you receive matches your order. 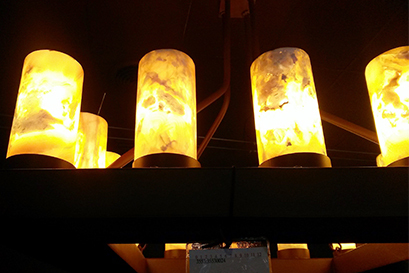 However, due to the uniqueness of some of our products, color, finishes, and dye lot may vary on each item. Please note that continual exposure to light and temperature changes can and will affect wear. Our wood line is handcrafted using salvaged wood from farmhouses, barns, boats, and similar areas, by skilled craftsmen from areas as far away as India or as close as Austin. Because we use old woods, you can expect to see nail holes, cracks, and minor splitting. These are not indications that the product is flawed, and are rather characteristics that add to the Old World charm of the piece. Primitives will store your purchase for 30 days at no charge. After this period there will be a $1.00 per sq. ft. monthly charge for storage. We require a 72-hour notice before pickup or delivery by the customer. Shipping and delivery services are available from our wood furniture store for an additional cost. Primitives will be happy to provide a list of such services, and we are happy to assist you if you wish to pick up your purchase yourself. To arrange delivery, items must be paid for in full. Assembly, if required, is available by the delivery companies. You must inspect all items before signing the delivery acknowledgements form. You are responsible for size limitations. Please be conscious of your passageways (stairwells, doorways, elevators, or ceilings), which may cause a problem with the delivery. Contact us in Austin, Texas, to learn about the products from our wood furniture store. We carry extensive options for purchase throughout the area.